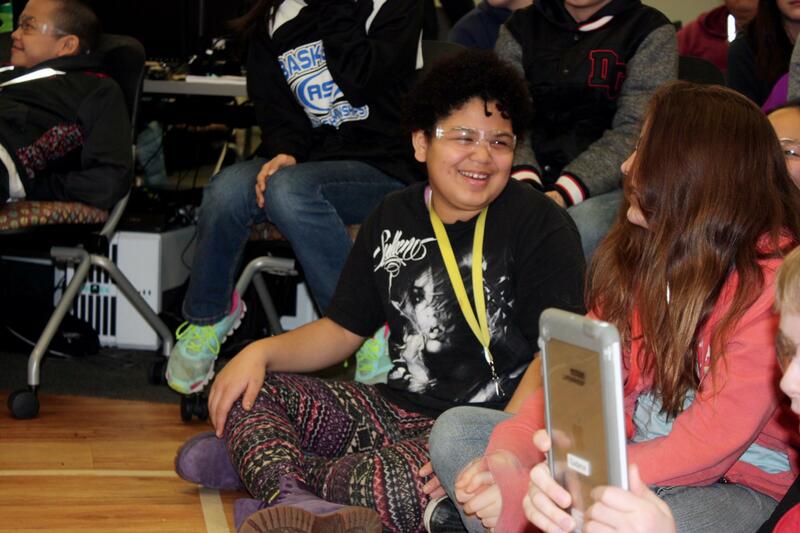 Jada Moonin during the February 2016 ANSEP Middle School Academy at UAA in Anchorage. Nanwalek School student, Jada Moonin, is interested in the medical field, but she recently learned to build a computer. “The computer build has been most interesting because you’re putting all different parts together which is hard ‘cause you don’t really know which spots they go into, but then you figure out with some help,” said Moonin. Through ANSEP Middle School Academy, she got the chance to explore science, technology, engineering, and math, or STEM fields. In February, Students from the Kenai Peninsula Borough School District and the Yukon Kuskokwim School District spent 12 days in the program at University of Alaska, Anchorage. Herb Schroeder is the Vice Provost and founder of ANSEP and the Professor of Engineering at University of Alaska Anchorage. He says ANSEP not only prepares students for college-level work, it also introduces them to living in larger communities they’re likely to relocate to for college. “There’s another aspect of this called social preparation, so what that means is even if a student is able to get the course work, they may not be socially prepared for the environment of the university when they arrive because they’ve always lived in a small community,” said Schroeder. One of the program’s main goals is to help students complete algebra one before high school. “26 percent of kids in the nation finish algebra one before they graduate from 8th grade, and our village kids, 77 percent of them finish algebra one,” said Schroeder. Schroeder says that puts them on track for college-level math. Moonin says she’s excited about all she’s learning through ANSEP and she hopes it prepares her for her goal of helping animals. “I want to be a vet,” said Moonin. The program ran from February 16th to February 28th. A total of 53 students from the Kenai Peninsula Borough School District and the Yukon Kuskokwim School District participated.